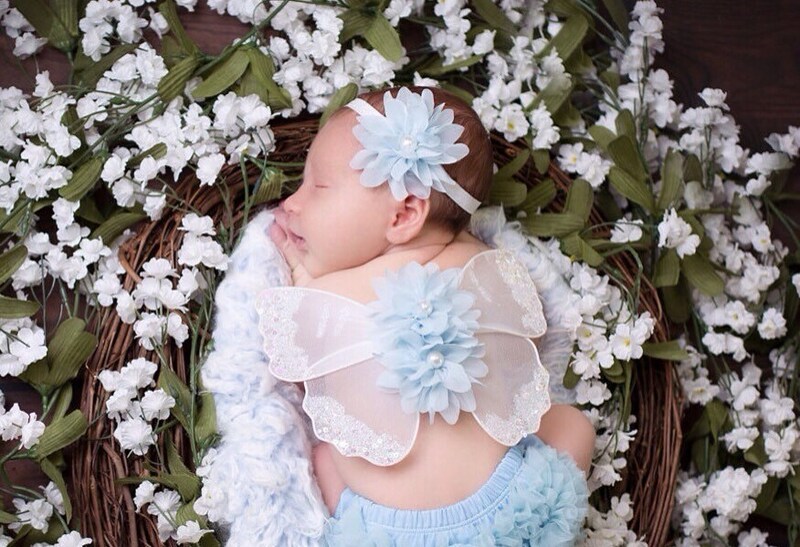 Ice blue and white Baby Wings for photo prop for newborns. 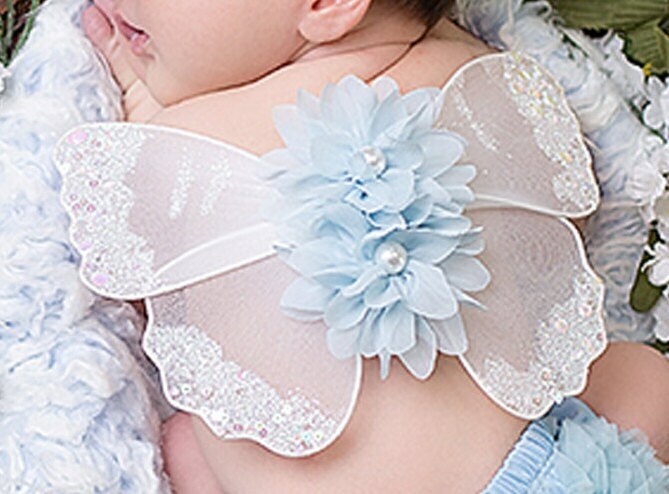 Wing span is 8 inches and the matching headband also has a 2 inch flower with a pearl center. Elastic measures 13 inches on headband and is soft and stretchy. You may purchase just the headband, just the wings, or the complete set. These are meant to lay on the back of the newborn for photos only, not a toy or for use with older children.